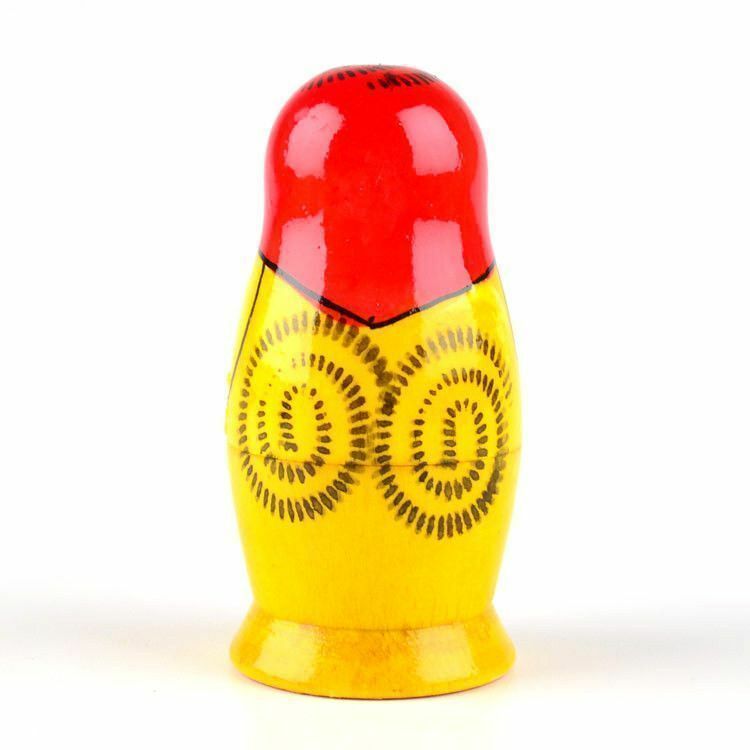 This little matryoshka doll was made the old-fashioned way... 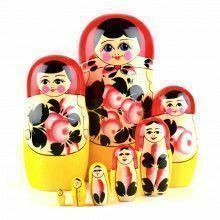 In Russia, from Linden wood, and with love! 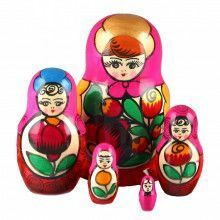 It was hand-painted in a classic matryoshka style, but with pink flowers instead of the popular red roses. 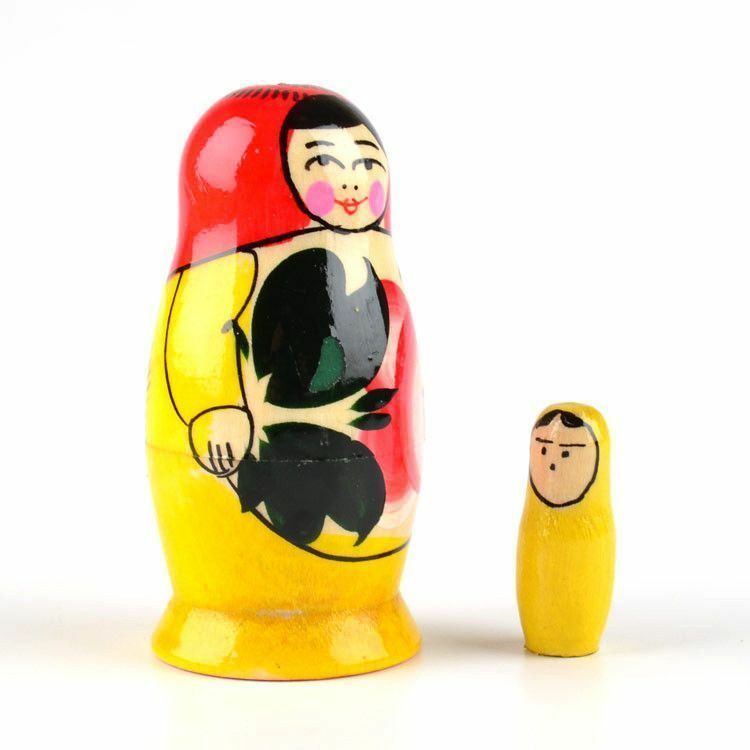 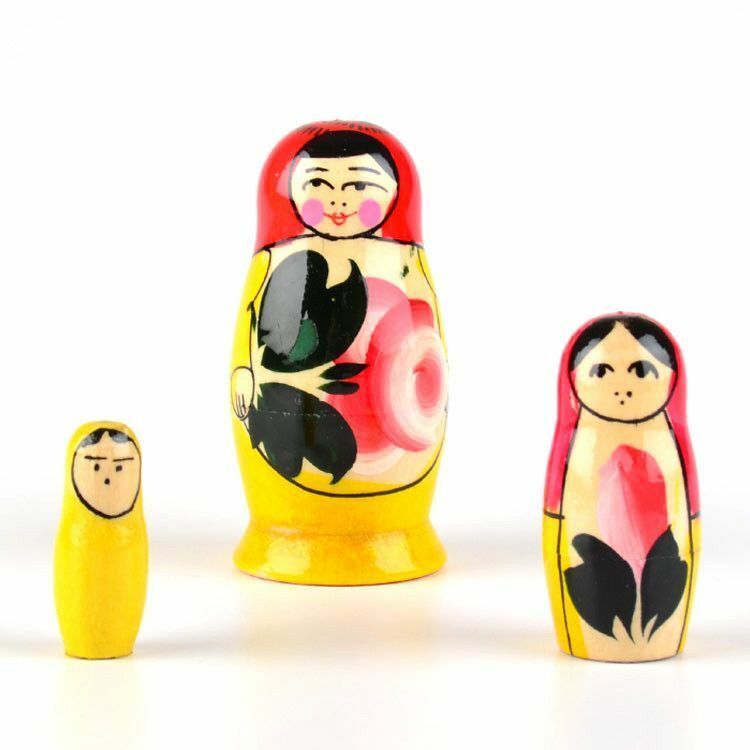 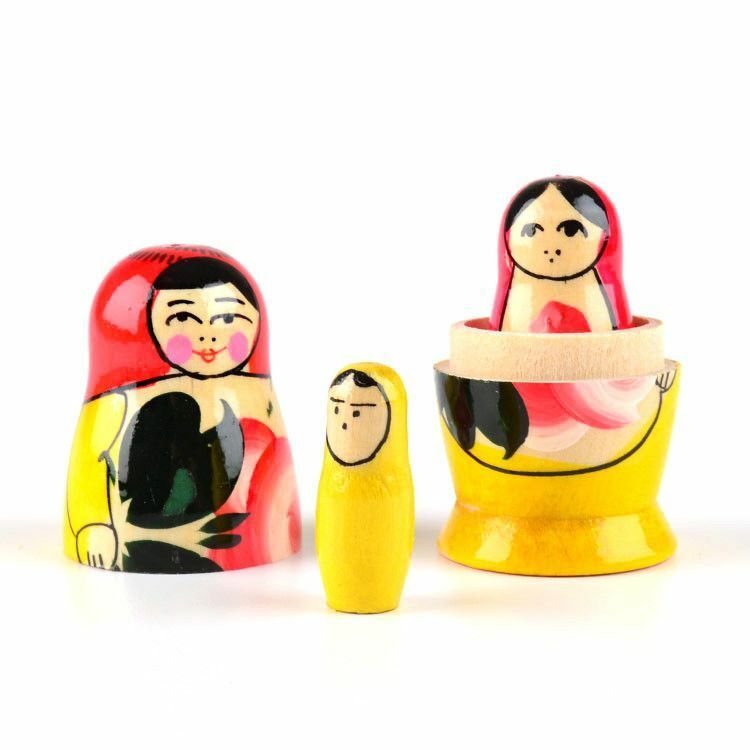 Add a lovely little nesting doll to your home decor today! 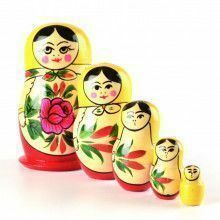 Stands about 2 3/4" tall and has a total of 3 pieces.